We continue Fuzzy Quackenbush’s Guide to Surviving the Rose Bowl with a guide to some Los Angeles arts and culture spots. After a full day in Disneyland, Mrs. Fuzzy’s head swells up and threatens to explode. 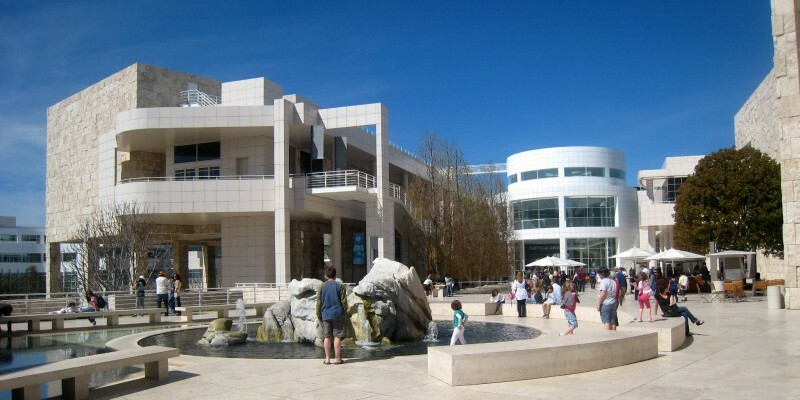 To defuse the pending disaster, Fuzzy hustles her up to her favorite LA museum, the Getty Center. Fuzzy’s daughter Rocky, who is going through her Goth phase, loves the Cactus Garden. Mrs. Fuzzy, the cultured one of the hoard, is looking forward to the traveling Ruben’s exhibit. Fuzzy, having no idea that Rubens drew naked women, enjoys the tram ride up to the museum itself. Rocky’s favorite hangout site in Los Angeles is the Venice Beach Boardwalk: sidewalk-surfer dudes and steroid monsters pumping iron, what could be better? Ms. Fuzzy, always on the hunt for good food, recommends brunch at the Sidewalk Café. On his last visit, Fuzzy was crushed to learn that Pamela Anderson and the other Baywatch lifeguards no longer haunt the beach, but this time, he plans on consoling himself by watching bikini-clad beauties roller-blading down the way. After the game, the exuberant pair adjourned to a local watering hole, LaVerne’s Boom Boom Palace, to enjoy a burger and their favorite craft brew: Rainier in a can. 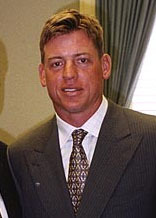 Tragedy struck when Fuzzy foolishly opined to the locals in attendance that UCLA great, Troy Aikman, and actress, Pamela Anderson, were in reality twins separated at birth. “Just look at their lips,” he cried as several burly patrons hustled him out the door. Later, well past midnight, Fuzzy and Ming wandered down Wilshire Boulevard deep in discussion about Pamela Anderson’s lips, when they happened upon a strange vision, a black stinky lake in the middle of the concrete city. It turned out to be the La Brea Tar Pits. Being a geek at heart, Fuzzy has vowed to return when the pits are open to the public, but if black goo isn’t your cup of tea, the very fine Los Angeles County Museum of Art is across the street.